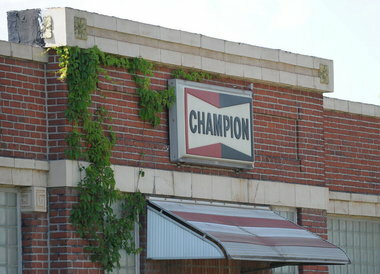 Between 1930 and 1976, the Hellertown (PA) Manufacturing Company, a subsidiary of Champion Spark Plugs, made spark plugs in the building pictured above. While in business, they dumped wastes into 5 unlined lagoons on their property. The company left behind its pollution for taxpayers to clean up and in 1988 the EPA added the site to its Superfund program. In 1970, the EPA said the company reported it had discharged 300,000 drums of waste to the lagoons, which sat only three miles from an aquifer that provides water to the Hellertown Water Co. In 1991, the EPA began cleaning up the site, covering the lagoons and extracting and treating the chemicals and compounds in the groundwater. Ever since, environmental officials have been monitoring the area to ensure progress continued. Groundwater on the site was contaminated chiefly because of the unlined lagoons that were used to dispose of chemical wastes, including cutting oils, zinc-plating waste and chrome-dip waste, according to the EPA. The company pocketed the money it saved on disposal costs and passed the bill on to taxpayers. By 2007, the Pennsylvania Department of Environmental Protection took over cleanup efforts at the site, and the cleanup goes on. Current plans include continuing to pump out wastes from the site at least through 2016. The land and the buildings, meanwhile, cannot be used. The Hellertown cleanup is typical of many gifts taxpayers have made to unregulated businesses. Leaving businesses to police themselves is a recipe for disaster and corporate welfare of the worst kind.